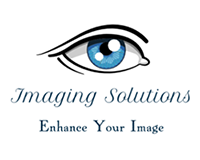 Imaging Solutions aims to design a device which will be attached with an existing 2D TV to convert a 2D Image into 3D. It is a new technique which is software based than after establishing a code we will implement it on hardware. 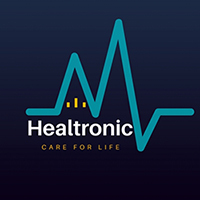 Healtronic is start up working on patient health monitoring device by which different parameters like heart rate, blood pressure, temperature etc. will be recorded. A wearable device will be assigned to the patient containing all the data accessible by the user and doctor through internet. A solution that is accurate and reliable in providing real-time information about patient's health. “Kids Fun Printer” is a 3D printing device that connected to desktop, prints a solid object. Shape your imagination by using 3D printer. 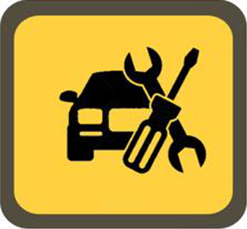 Motor Okay is e-commerce based start-up comprising of mechanic and maintenance services. The company is going to provide customers with 24/7. The mechanism company is following to generate revenues is charging 25% commission on each payment paid by the customers to our hired mechanic and other service providers. The Motor Okay is acting like a bridge for customers. An initiative to bridge people from all fields of life at a single platform and provide networking possibilities. 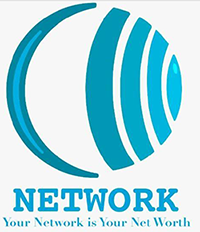 The vision is to build an interactive system which provides a face to face interaction along with an online platform to build, grow and maintain network. 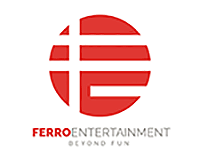 Ferro Entertainment is a game studio where we develop PC/VR/Mobile games. Ferro Entertainment offers unique and quality gaming experience to gamers worldwide and aims to be among the leading game publishers worldwide. Smart Signal will Cater Parking Problems through artificial intelligence and solve traffic signals problem by visually analyzing the situation at real time. Crypto trackers is business startup that has improve the tracking system of vehicle in an advanced way. The company provides most safe and secure tracking that no other company has ever introduced along with many other facilities that will help a car owner a lot. Energy harvesting is the process of extracting and storing energy from environmental sources. The stored energy is then used for powering small, wearable wireless electronic devices. We are going to eliminate the battery problems such as maintenance burden of charging or replacing the battery, finite and unreliable life span of the battery and the chemical disposal by using the vibrations produced by human body due to any mechanical activity. RotiMac is basically an organization which designs roti making machines. RotiMac makes roti making machines which are time, energy and cost efficient. It makes roti making machines for domestic use. 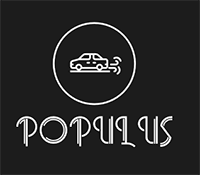 Populus is an efficient environment monitoring system to be used in a vehicle using LoRaWAN communication protocol. The system uses sensors to measure the environment of a car such as temperature, humidity, smoke and pollen count sensor. There will be sensors to measure tire pressure and alarms the user where the pressure is low. FastLane will provide the product that aims to eradicate the constant traffic jams and congestions faced by public on daily basis. Our system relies on real time traffic congestion to make decisions on how to direct and coordinate traffic. The system is optimized so that it is cost effective and can be integrated into existing infrastructure. Power & Electronics Tech Centre (PET) is basically a team which promises to revolutionize your way of living in ac power system to dc world with more cost efficiency and safety. The idea is to create an android application & web application where user can locate nearest shop which is selling the specific item that a user looking for. This application will also guide the user to reach selected nearest shop easily via maps on the application. A smart phone application providing the users a platform to help them exercise, eat well and style themselves and sharing it with the world using an easy and hustle free interface. The application further improves user experience by letting them connect with the other social networks with a distance of a click. Tech Jokie will create the electric floatation device, which will help and save human being from drowning. It consists of programmable DC Motor, water proof battery Box or 1/4 pieces of 1865 Li-ion Batteries. We control the device wireless with remote. A platform where cooks can search for recipes based on the ingredients they currently have in their stock. Our platform will allow users to enter multiple ingredients and we'll give them the best recipes (which can be made with those ingredients) based on the user reviews on each recipe. 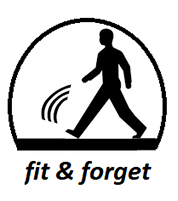 Smart phone application to recognize human activity using android phone sensors. In this application, we can recognize many human activities i.e sitting, standing, walking, running, etc. This application will be programmed in Android Studio. Sensors are the source for raw data collection in activity recognition.